I have decided in order to try to update my blog more frequently, I will try out a new theme which I will call “Cooking, Out of the Box.” I call it this because I try to cook from scratch whenever possible. I am just as guilty as anyone else at buying the occasional Hambuger Helper for days when I am just too tired or unmotivated to come up with dinner ideas, but whenever possible I always try to make things myself. That goes for bread, cookies, muffins, soups, pie crusts, and so much more. The more I control what goes into my food, the more I can control what goes into my tummy. And that, friends, is a GOOD thing! So to start this out, I am filling a request from one of my BFF’s, @megandubyuh,. Here is my own personal recipe for Mac & Cheese. 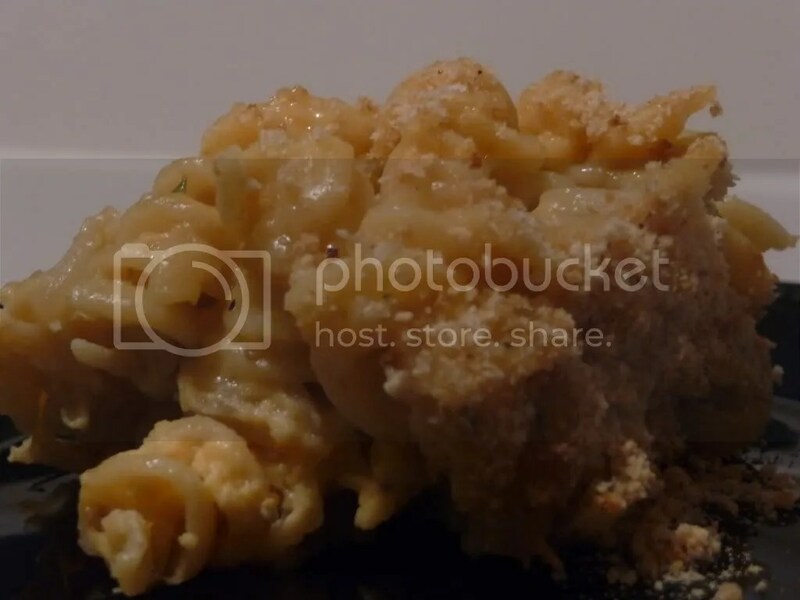 It’s from one of my many attempts to re-create the wondrous mac & cheese that they have/had on menu at Cotton Patch Café, where I used to be a waitress/cashier/trainer. Their mac & cheese is truly irreplaceable and was one of the only two things that I actually craved when pregnant with my son. Fortunately (or maybe not) my sister was still working there and on Wednesday and Friday nights I looked forward to her bringing home any and all leftover mac & cheese from closing time. I could very well attribute my excess weight gain to the pounds, I kid you not, POUNDS of mac & cheese that I consumed during that time. I’ve played around with this recipe a few times, but keep going back to the basic cheese sauce. I know most people (including myself) prefer the extra saucy mac & cheese, though nowadays I actually halve mine – trying hard to lose that a fore mentioned pregnancy weight. I haven’t halved it in the recipe below though, I don’t intend to subject my diet upon others! This is also really great as a casserole base if you were to add some other stuff like bacon, broccoli, diced red bell peppers, ham or chopped cooked chicken breasts. Just make sure you’ve taken proper measures to cook them ahead of time, and use a bigger dish like a 9″x13″ pan to allow for additional content. 1. Cook pasta until just past al dente. Drain & set aside into mixing bowl. 2. In medium sauce pan, brown garlic in olive oil. Add onions and sauté. For a sweeter flavor in the finished mac & cheese, cook onions until carmelized. Add onions/garlic to mixing bowl. 3. In same sauce pan, on low heat, melt butter & whisk in flour to create a reux. 4. Whisking *CONTINUOUSLY* – add milk slowly. 5. Add salt & pepper and simmer mixture, continuing to whisk, until a light light sauce is formed (coats inside of pan but not thick like gravy). 6. Mix in cheddar cheese and pour over pasta & onions. 7. Allow to cool about 10 min, in the mean timme preheat oven to 350°F and grease a 1.5 quart baking dish. (Double ingredients for 9″x13″ baking pan). 8. Add beaten eggs & mix thoroughly. 9. Transfer to baking dish and top with bread crumbs or shredded cheese. 10. Cover with lid or foil and bake 30 min. Remove cover and bake 10 minutes. A while back, my Grammie made some of these muffins and I just had to snag the recipe off of her. I’m always looking for some way of making my daily food intake healthier. These are yummy and great for a snack any time of day. I like them best with some fruit & yogurt as a morning snack. 1. Pre-heat oven to 400°F. Spray 12 muffin-pan cups with cooking spray. Set aside. 2. Stir together flour, sugar, baking powder and salt. Set aside. 3. In large mixing bowl, combine cereal and milk. Leg stand about 5 minutes or until cereal softens. 4. Add egg and oil. Beat well. Add flour mixture, stirring only until combined. 5. Portion evenly into muffin cups. and bake about 20 minutes or until golden brown. 6. *OPTIONAL* Try adding some raisins and/or sprinkling muffins with brown sugar before baking.